• Welded loops for superfast rigging. 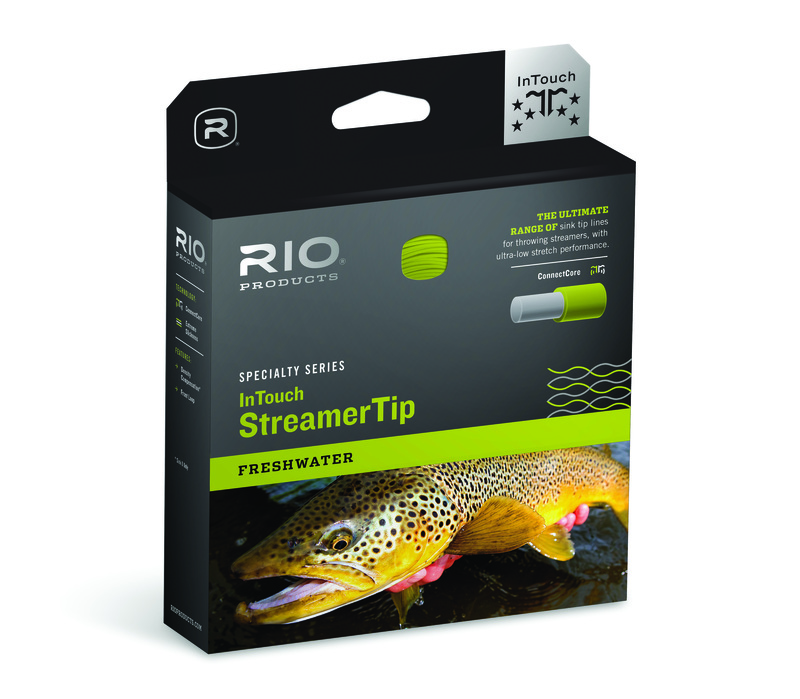 The StreamerTip features a 10 ft intermediate tip that sinks about 1.5in per second. Specifically built for fly fishers who like to fish streamers and lures out of a boat. A short, heavy head loads rods at close range, allowing anglers to make fast, one-shot casts. An aggressive, powerful front taper casts large conehead muddlers and bunny leech rigs with ease, while a welded loop on the front end allow anglers to change rigs quickly. 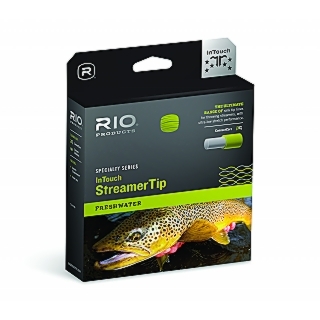 Built with RIO’s ultra-low stretch ConnectCore Technology and featuring a supple coldwater coating, this line will not tangle off the reel.